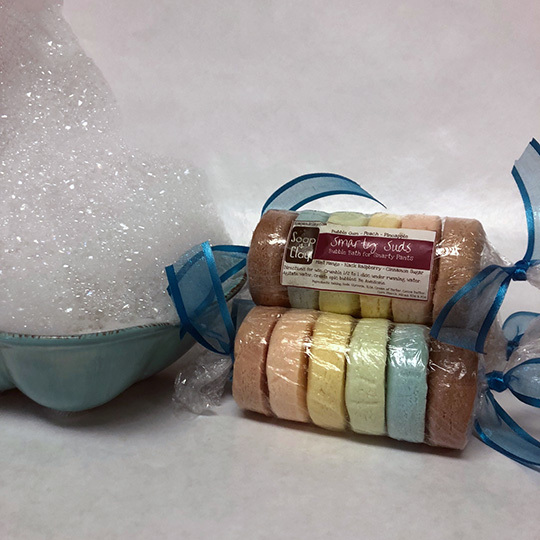 Home > Shop > Soap & Clay Kids > Smarty Suds – Solid Bubble Bath! 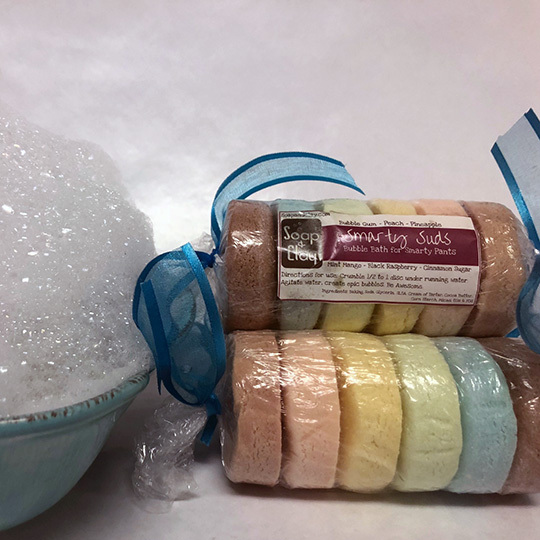 Smarty Suds – Solid Bubble Bath! What it is: Solid bubble bath that, when crumbled under running water creates these big, beautiful, amazing heaps of tub filling bubbles. 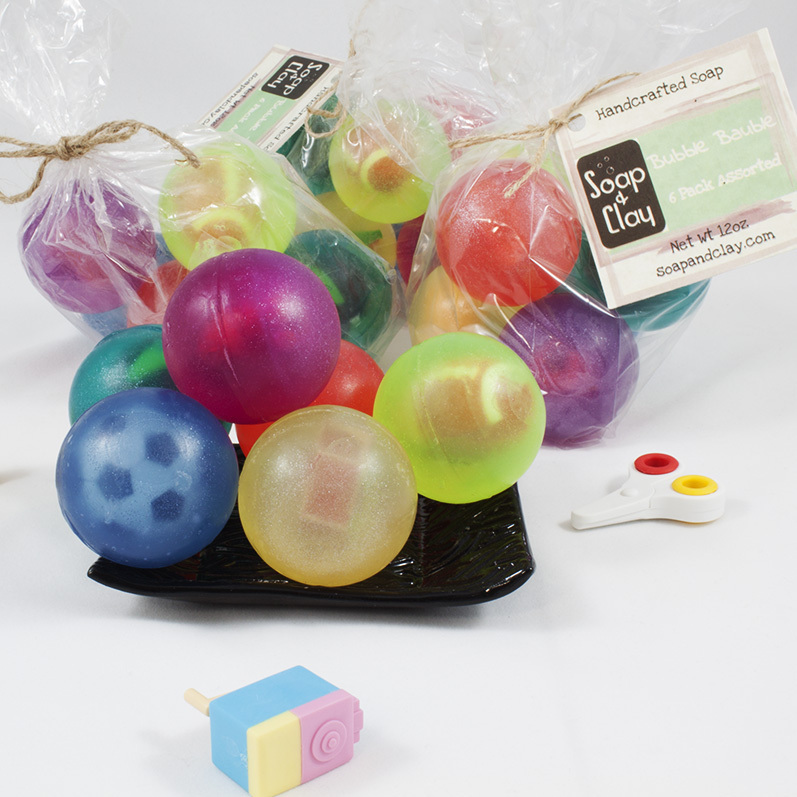 These handy single use globs of awesome are perfect for little Sudsers and their big bath time adventures. Why that’s awesome: Because, bubbles! These bubbles are fragrant, colorful, and won’t dry the skin. Plus, it takes just a little to create a tub of bubbly fun! But really they’re awesome because bubbles. Solid bubble bath. ‘Nuff said. Bath time is a lot of things – for the parents of dirty, sticky, monsters young children it’s that magical time of the day when those unrelenting balls of energy sit still long enough to get clean. For the kids, it’s that magical time of day when all of their nautical dreams are realized. 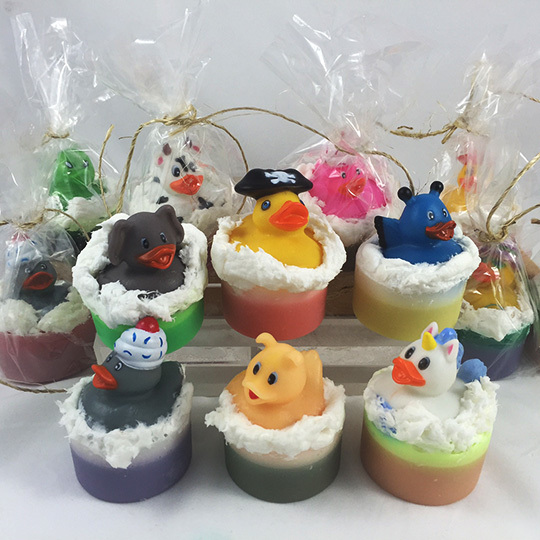 They can be pirates, ship captains, dolphins – their imagination takes flight and the bath tub is transformed into whatever their heart desires. The Soap & Clay kidlets currently spend their bath time playing Airport Security. Which is not nautical. Or particularly exciting. It’s just what you think it would be. A neverending line of toys traipsing along, waiting to be scanned and allowed on to the nonexistent airplane. You can’t make this stuff up. Whatever the reason for bath time, why not take the awesome up a notch with some epic bubbles? Sounds great, right? I know! That’s where Smarty Suds come in. What it is: Solid bubble bath that, when crumbled under running water creates these big, beautiful, amazing heaps of tub filling bubbles. These handy single use discs of awesome are perfect for little Sudsers and their big bath time adventures. 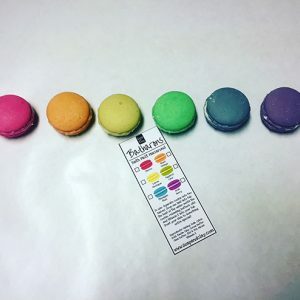 Each pack contains six individually scented discs that will each create a tub full of bubbles. To use, crumble bubble bath while tub is filling. Agitate water until desired bubbles are achieved. Enjoy! NOTE: Mrs. Soap & Clay has found that 1/2 of a disc is more than enough to create an epic bubble show. But if you want to use the entire disc, have at it!